After many years of very varied experience working in large law firms it was noticed that there were disadvantages for Clients dealing with such large firms, for example, frequent changes of advisors due to specialisation, impersonal service due to competition for the advisor’s attention from many other Clients and lack of time to meet individual preferences. The strategy of Wilde &Co. was and is to provide a faster, more effective and personal service by returning to the Client focused approach that was more prevalent in the past whilst still taking advantage of modern methods. Over the past 23 years, Wilde & Co. has steadily developed an increasing and loyal Client base throughout the region with a very high level of Client satisfaction. The firm’s steady growth over that period has been a result of regular repeat business from established Clients and frequent personal recommendations. 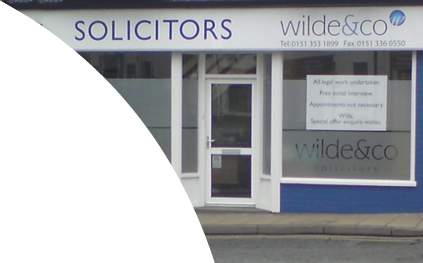 Now, in 2014, the firm has been further enhanced by the appointment of experienced Solicitor Mrs Christine Dickinson and of Trainee Legal Executive Mr Benjamin Wilde. All enquiries concerning any legal requirements are encouraged and general guidance will be given in a free interview of up to 30 minutes.